Happy 2016 folks! 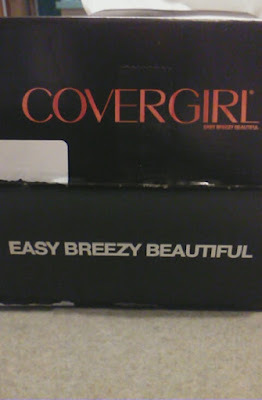 Today I have an unboxing showing off products I was sent from Covergirl via Influenster. I received this package shortly after Christmas, and the packaging is clearly meant to be a cute, festive present. 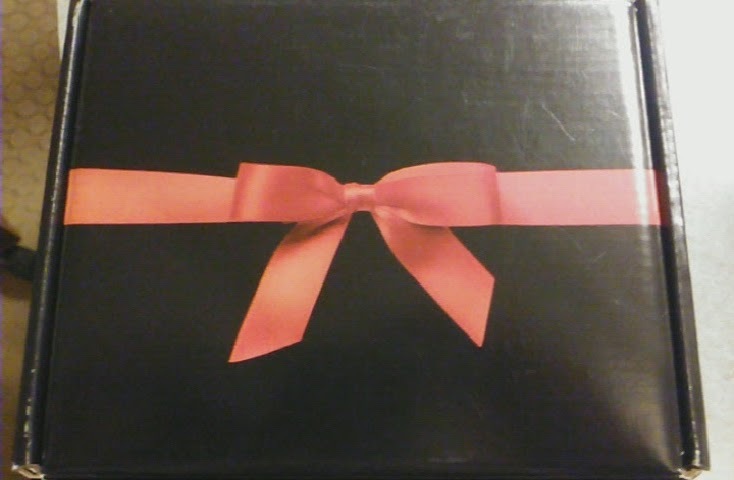 I love the pink bow on the top of the box. Adorable! 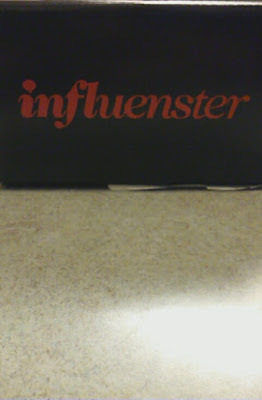 On one side of the box is the Influenster logo, also in pink. On the other is the Covergirl logo, in pink, and slogan, in white. In the Voxbox, wrapped in black tissue paper (nice touch) are two brand new products! 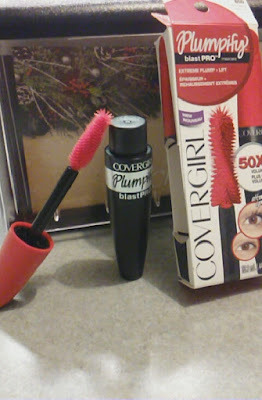 Covergirl's Plumpify mascara, Oh Sugar! lip balm, and the information card breaking down all the details. 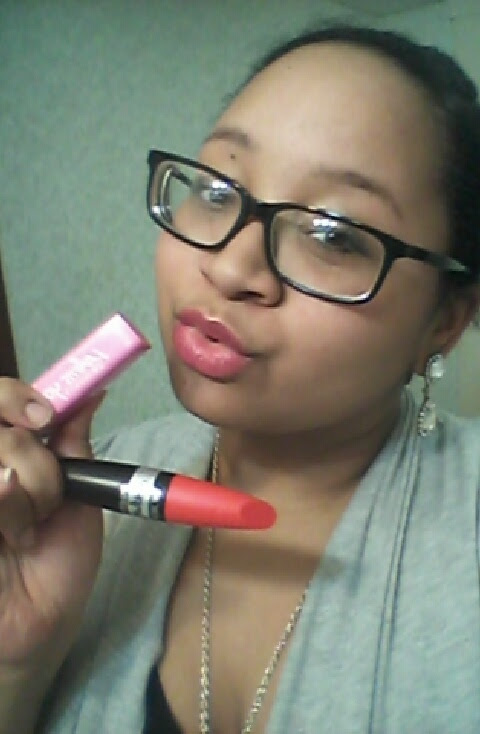 Both items, to my knowledge, are part of Covergirl's Spring 2016 range. 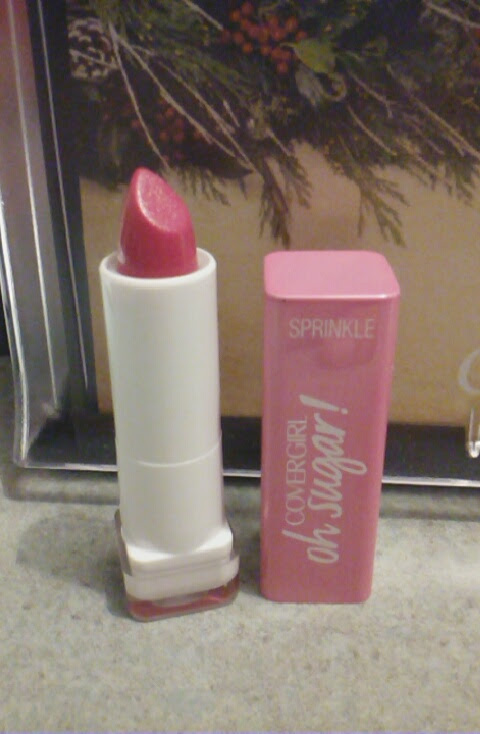 The first item I tried is the Colorlicious Oh Sugar! Vitamin Infused Lip Balm in Sprinkle. You guys... This is THE BEST tinted lip balm I have ever used in my life. It is an instant Holy Grail product, hands down. Per the packaging, it's "comparable to a $20 lip treatment." This is a direct jab at the Fresh Sugar lip treatments. I've never tried the Sugar lip balms before, nor do I want to after using Oh Sugar!. This version from the drugstore is life changing. It is so nourishing and leaves your lips moisturized all day. It is so comfortable on, it's mind-blowing. It has an amazing scent and taste that's not too strong that you cringe when or if you lick your lips. It tastes almost like soda, similar to Sierra Mist or Sprite, minus the fizz. Oh Sugar! is not too slick (think Vaseline), nor too waxy (think Burt's Bees). It's the perfect texture, and doesn't move or slide around and gather on the edges of your mouth. As for the claims, it exceeds every expectation. Covergirl says Oh Sugar! is infused with grapeseed oil, avocado butter, and Vitamins C&E. Covergirl also claims the balm leaves lips soft and nourished with a sheer hint of color, as well as protecting and repairing the lips. It has, and does all of that. I have nothing but nice things to say about this and could rave about it all day, but instead I HIGHLY RECOMMEND you go pick one up. There are 10 shades available, and the average retails for about $7.99. You can buy it here. 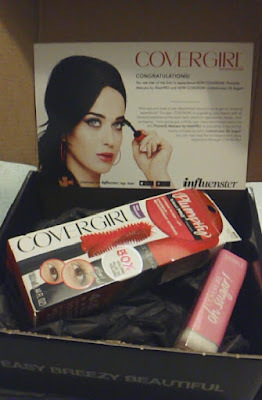 The next item in the Voxbox was the Plumpify blastPro by LashBlast Waterproof Mascara. It comes in a nice fat tube with a nice fat wand. Plumpify's wand is a "specialized, double-action brush that vertically lifts lashes from their roots, guaranteeing plumping without the clumping." The wand is huge. Which can be an issue if you have sparse lashes. I found it was sort of messy when first applying it, but after a few days when I got a hang of using it, I didn't have that problem anymore. That being said, my overall impression is this mascara is alright. Covergirl claims the formula is volumizing, which I guess I agree with. Covergirl also claims the mascara gives 50x the volume, which I guess I also agree with that too. It just didn't WOW me. Don't get me wrong, there are pros, and it is a decent mascara, it just didn't live up to my expectations. The main thing I look for in a mascara is it's ability to give me the illusion of wearing false lashes, without taking much effort to achieve that look. This gave me very flirty lashes, which is nice for daytime. I just prefer more oomph. For those of you who already have long eyelashes, and want to add volume while holding a curl, this would be perfect. If you're looking for a lengthening mascara, you'd probably want to pass. For me, my Holy Grail mascaras are the Maybelline Cat Eye mascara, and the Maybelline orginal Lash Sensational. Both of those give me volume, length, definition, and darkness all in literally 2-3 sweeps. With Plumpify, I literally take minutes (almost 5, I timed myself once) to get the look I want. So like I said, if you want flirty lashes that'll hold a curl, and you're good with that, this is for you. It retails for an average of $10.49 and you can buy it here. I really hope you pick up one of these new items. When I first got this package, they were not available in my local drugstores here in Green Bay, WI. Only online. BUT I've waited until I found them in store to post this blog so you can pick them up with no hassle. I found these new products at my local Walmart after a few weeks of searching. I was dyyying to pick up more shades of the Oh Sugar! lip balm. I picked up Taffy and Caramel. I love them just as much, if not more than Sprinkle. If you DO pick up something, leave a comment telling me what it was and how you like it! FTC Disclaimer: I was sent these products via Influenster in partnership with Covergirl for testing & review purposes. This is not a sponsored post, all opinions are honest an my own.